The most ostentatious of all the Chicago gangs of the 1920s, even the lowliest member of the Valley Gang of rumrunners and bootleggers rode about in Rolls Royces. An Irish street gang formed in the 1890s the gang for decades was a group of mindless sluggers and killers. But, perhaps rather remarkably, great wealth gave them a certain maturity. They moved willingly into the ranks of organized crime and became one of Al Capone's most stalwart legions. In that, they differed from many other Irish bands of criminals in many cities who, sneering at the concept of organizing crime and sharing rackets, had to be dealt with violently by those mobsters determined to syndicate crime on a rational basis. In the 1890s the Valleys were no more than a neighborhood band centered on 15th Street in the Bloody Maxwell section of the city. Around 1900, the Valley Gang graduated to such pastimes as burglaries, picking pockets and, somewhat later, hired murders. About the time World War I broke out, the gang was under the leadership of Paddy Ryan, a.k.a. Paddy the Bear. Leadership of the Valleys passed from Paddy the Bear to Frankie Lake and Terry Druggan, who led the gang to great prosperity. Under Lake and Druggan, the gang concentrated on bootlegging and rumrunning and eventually owned a string of breweries. The boys went quite overboard in enjoying the finer things in life—rewards not exactly common for former street rowdies—but they all maintained a levelheadedness about protecting their newfound riches. In the past the Valleys might have been noted for cracking a copper over the head with a blackjack, but they quickly discovered that a wad of bills made a more efficient weapon. The Valleys suddenly became the darlings of the police and politicians. In 1924, Lake and Druggan got a year in jail from a judge for contempt in disobeying an injunction against one of their bootlegging fronts. But the politicians were determined that their meal tickets not suffer any inconvenience in prison. Morris Eller, boss of the 20th Ward, told Sheriff Peter Hoffman, "Treat the boys right." The boys themselves distributed bribes totaling $20,000 to Warden Wesley Westbrook and other officials at the Cook County Jail. For this they enjoyed a unique imprisonment even by Chicago standards. A newspaper reporter who went to the jail to interview the pair was informed, "Mr. Druggan is not in today." Well, how about Frankie Lake, the reporter suggested. The response: "Mr. Lake also had an appointment downtown. They'll be back after dinner." As a result of this dialog, the Chicago American launched a major exposé about the treatment of the Valley Gang chieftains. It turned out the pair came and went as they pleased. Druggan's chauffeurdriven limousine picked him up so he could spend most of his evenings with his wife in their plush duplex apartment on the Gold Coast. Lake invariably visited his mistress in her North State Parkway home. The pair also dined in the best Loop restaurants, shopped, attended nightclubs and theaters, played golf and, when feeling the need, visited their doctor or dentist. For taking part in this miscarriage of justice Sheriff Hoffman was fined $2,500 and got 30 days in jail, and Warden Westbrook got four months. Al Capone liked the Valley Gang chieftains' style, and a mutual respect developed on both sides. 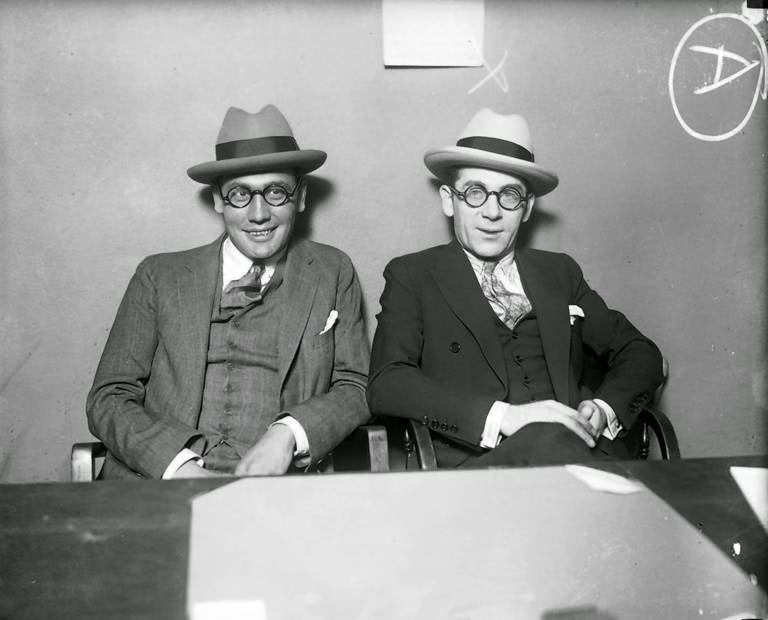 Eventually the Valley Gang was absorbed en masse in the Capone organization. Capone supporters often claimed the treatment the Valley Gang received showed that Big Al took good care of those gangsters of any ethnic background who joined him willingly. By the time Terry Druggan, one of the last of the Valleys, died in the 1950s, he was a millionaire many times over, as were many of his cohorts.